Stefano Zagaglia is an Italian wildlife artist who has always loved nature and especially animals. He graduated in architecture and worked in design and advertising for many years. After travelling in Africa his desire to paint animals took over. He developed his own technique of painting with watercolour, pastel, acrylic and especially oil for his animal portraits. Stefano’s love for African wildlife and the primeval beauty of the African wilderness is what he aims to express in his paintings. 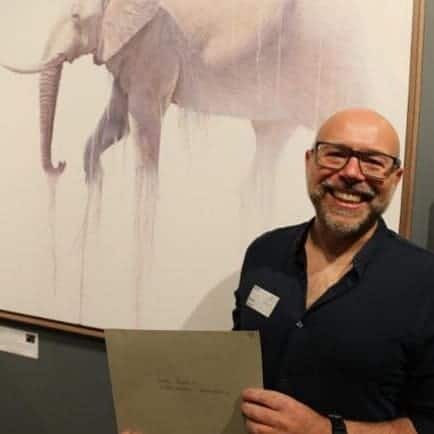 His work “FADING GIANT” was recently selected as overall runner-up at the Wildlife Artist of the Year 2016 in London.